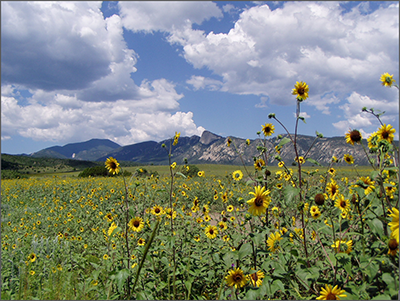 The Philmont Scout Ranch, a place Boy Scouts go to embark on backpacking expeditions into the high country of the New Mexican Rockies, employs a conservation staff to ensure the integrity of the pristine wilderness. A large part of sustainability is keeping track of trail and campsite usage using GPS technology, including one of UNAVCO’s permanent stations (part of the Rio Grande Rift Project) on the ranch, and relocating or building new ones as necessary. With around 22,000 Boy Scout groups tramping off into the ~136,500 acres that make up the Philmont Ranch every year, maintaining accurate maps of the backcountry is no easy task. The most popular programs take place in the summer, and are ten-day trips where groups of eight to ten scouts and two or more adult leaders trek into the wilderness of the Sangre de Cristo Mountains carrying heavy packs and camping at backcountry campgrounds. The itineraries are set in advance, and based largely on following wilderness ethics and conservation efforts. Most of the mapping efforts also take place in the summer, when the weather and road access are more favorable. The conservation staff conducts detailed mapping of and data collection on the trails and campsites the Scouts use. By keeping track of such factors as erosion, vegetation degradation, and usage, the conservation staff can determine when and where to relocate or build new campsites and trails. UNAVCO comes into the picture when the conservation staff is post-processing the GPS data. The staff uses high-precision differential GPS mapping units, which means that the data are corrected with respect to a base station to achieve cm-scale accuracy. UNAVCO has a permanent station on the Tooth of Time Ridge, a granite monolith that is iconic of the Philmont Scout Ranch, which is often used in the post-processing. This station is also part of the Rio Grande Rift project, with Steve Nerem (University of Colorado at Boulder) serving as the lead on this site. The Philmont Scout Ranch was formerly owned by oil baron Waite Phillips, who donated ~36,000 acres of the ranch to the Boy Scouts of American in 1938, and then another large chunk of the property in 1941, bringing the total to ~126,000 acres. He made the donation after he allowed some Boy Scout troops to visit the property, and wanted to share the beauty of the landscape with a deserving organization. The ranch offers several other educational and expedition type programs for different age groups, and offers tours of the Villa Philmont mansion, which has been restored to reflect the time when Phillips owned the ranch. Figure 1 - The Tooth of Time Ridge, location of UNAVCO’s permanent GPS station and a popular hiking destination for the boy scouts. 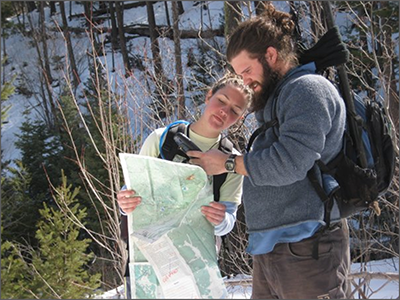 Figure 2 - The conservation team mapping backcountry trails using a handheld GPS unit. 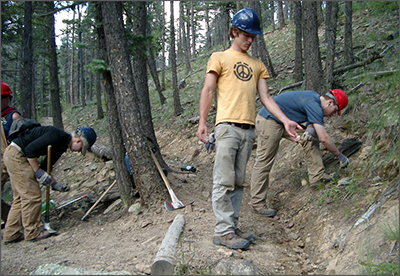 Figure 3 - Breaking new trail in the backcountry.